﻿ Colony Club - Ohio. Find It Here. This unique restaurant was once a movie theater! The owners converted the space into a restaurant and bar. The movie screen and original tapestries are still there! 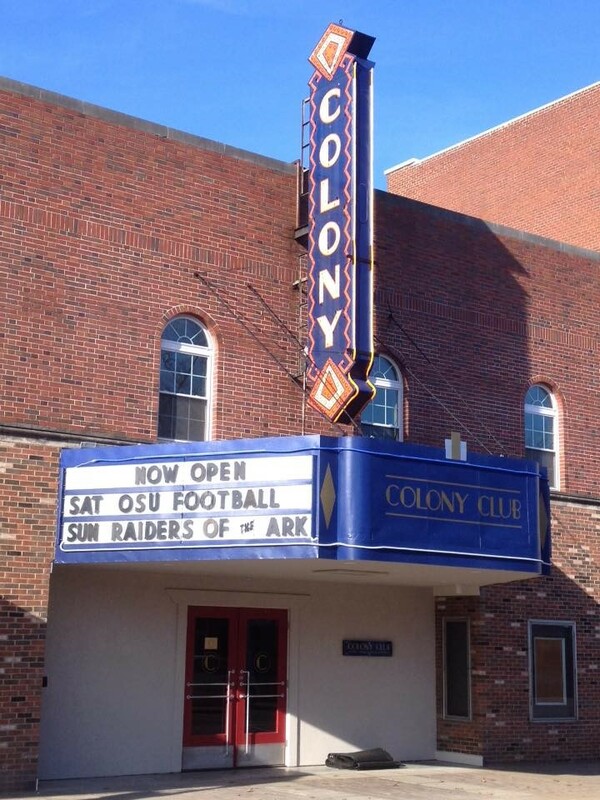 You can stop by for lunch/dinner and an old black & white movie will be playing. They have events including: movies, local musicians, comedy nights, talent shows, hypnosis acts, sports games, fundraisers and more. A wonderful place to grab a quick lunch or have a dinner date.